Ninabeth Capaning’s fourth grade EXCEL class at New Albany Elementary School has been participating in a unit of study on poetry. 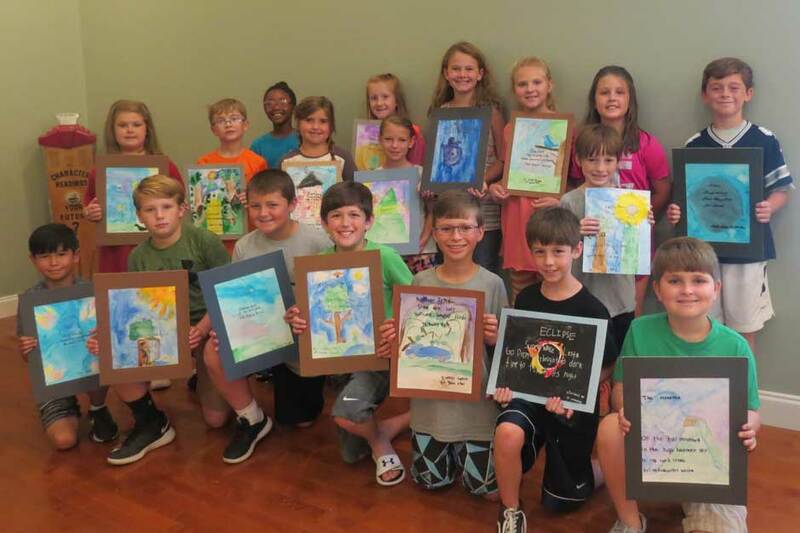 Students wrote poems and created water-color illustrations to be used as table decorations for the Faulkner Literary Luncheon, which was held on Friday, September 22. On Tuesday, September 26, these students traveled to the Union County Heritage Museum to participate in a Poetry Workshop coordinated by Linda Everett of the Faulkner Literary Committee. Linda Everett gives pointers to students. During the workshop, students listened to a poetry reading from Samantha Cavender, a published poet from Holly Springs. 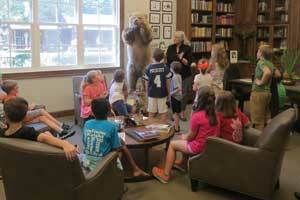 Museum Director Jill Smith gave students a brief tour of the museum’s animal exhibit, Faulkner Room, and Faulkner Garden to provide inspiration for the students’ writings during the workshop. Everett led the fourth grade students in a brain storming session and gave tips on how to construct a diamante poem. Jill Smith leads tour of the museum. The students will return to their classroom to revise their rough drafts, write their final poems, and create illustrations to be displayed with their poetry. As part of the Faulkner Literary events, Ninabeth Capaning’s 5th Grade EXCEL classes at New Albany Elementary School had a literary unit of study. 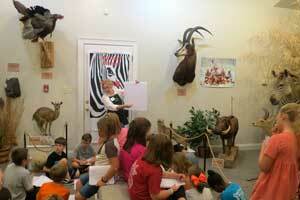 These fifth graders selected a famous writer or a famous Mississippian to research. After their research, students created an alliteration biography and illustration for their famous person. The students’ finished works were used as table decorations during the Faulkner Literary Luncheon, and will be displayed at the school.